So, this week we’ve come across not one, but two incredible mentions in two separate Mashable posts! If you aren’t privy to the importance of being featured in Mashable just know this, it is “a leading source for news, information & resources for the Connected Generation. Mashable reports on the importance of digital innovation and how it empowers and inspires people around the world. Mashable’s 20 million monthly unique visitors and 6 million social media followers have become one of the most engaged online news communities.” We know what you’re thinking, “whoa! 20 million unique visitors? !” and we’re right there with you. We typically keep our users updated with all the exciting news going on through Twitter and Facebook but it doesn’t hurt to put both mentions in one handy blog post for you all. Take a look and try to imagine the excitement we’re experiencing in the office. We’re pretty much peeing our pants. I was born in Santurce, Puerto Rico, Grew Up in Orlando, Florida but I’ve lived in San Francisco, CA for the last 5 years. Where is your favorite place to spin? My favorite place to spin has to be at Temple SF where I do my residency. Although I’ve played at some amazing places in the US and Canada, Temple SF feels the most like home away from my studio at home. What made you get into music and DJing? The reason I got into the DJ culture was two different friends of mine. 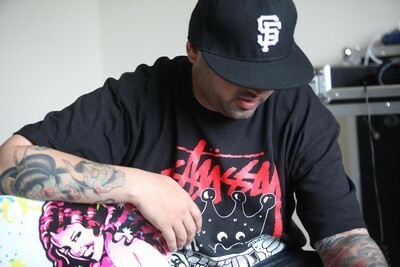 The first was Enrique Gonzalez aka Rick G of 3rd Wish whom at the time was called DJ Inferno and was one of Central Florida’s best Battle DJ’s. Rick taught me how to DJ every night for two weeks and let me borrow my first crate of records. I was 14 and he was 15. Then I met Mark Villajandre aka Mark V. who taught me all about song selection and dance music when I was 16. From there the journey has been one filled with many friends and good memories. It’s Always Sunny in Philadelphia, Archer, Doctor Who, sports, and my guiltiest pleasure; Love and Hip-Hop Atlanta. Paris, France. I’d love to take my wife Naomi there one day. Do you have an idol? If so, who? My idol and hero has to be my mom. No matter what she finds the good and wants to help everybody. She has endless amounts of love and I love that about her. Favorite genre and/or style of music? House and Hip-Hop. I grew up with both and both have been a part of every facet of my life. So like a picture album, I have so many memories tied to Hip-Hop and House Music. What is your favorite thing about being a DJ? My favorite thing about being a DJ has to be the improvisation playing records and the fact that every night is different. The crowd is different every night. Every place you play they have different moods as a dance floor, so you have to improvise and be creative to give the crowd a new and unique experience. What is your favorite track at the moment (or favorite DJ/producer/artist is fine too) ? Hands down favorite song right now is “G.O.O.D. Morning (Europe)” by 2 Chainz. The record is dope and suits a veteran of the Dirty South that reinvented himself as a persona that has brought credibility to the hyper swagged out culture that is Trap Music, the next evolution of the Dirty South Genre. I use a Native Instruments Traktor S2 DJ Controller. I switched to it one and half years ago from Serato Scratch Live and I have not looked back. Best investment for DJ’s that want all in one portability for any gig and the comfort of using the same physical and virtual DJ interface. What is the hardest thing you’ve ever done? Graduate college. It took time, commitment, and money. But overall, best investment of my life. Do you have any secret talents? I’m a pretty awesome shadow puppeteer and Lego architect. What do you do when you aren’t spinning? I hang out with my wife Naomi, work as a Network Architect, exercise w/ Fit Radio at my local Stonestown San Fran YMCA and have a First Class ticket to the Jet Life on Flight 420. I see myself doing the exact same thing except with some little copies of Naomi and I running around to share in life with. Mind reading. I think Mind reading would be awesome for obvious reasons, but I also don’t know if I want that kind of super power. It might be like the Kanye joint “No One Man should have all that Power”. What are your thoughts on FIT Radio? Fit Radio is awesome. It is like having an on-demand catalog of some of the world’s best DJs right at your fingertips, literally. 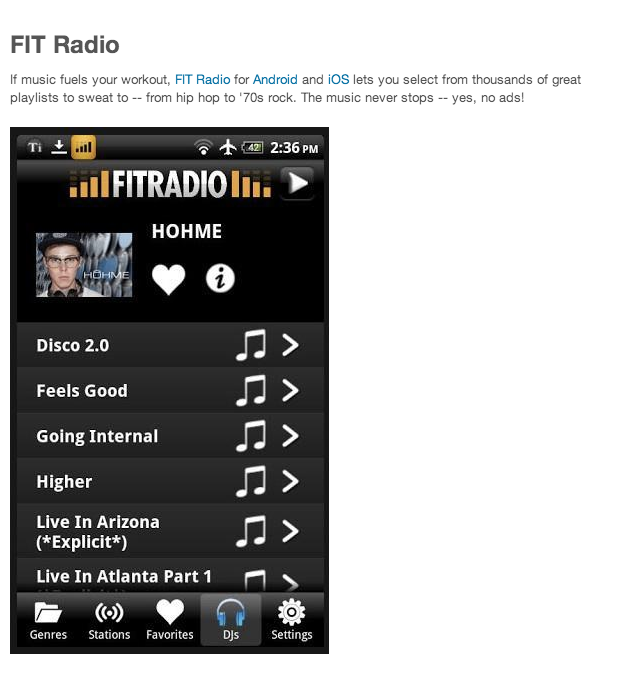 Fit Radio has also given me the opportunity to share music with all the Fit Radio members around the world. 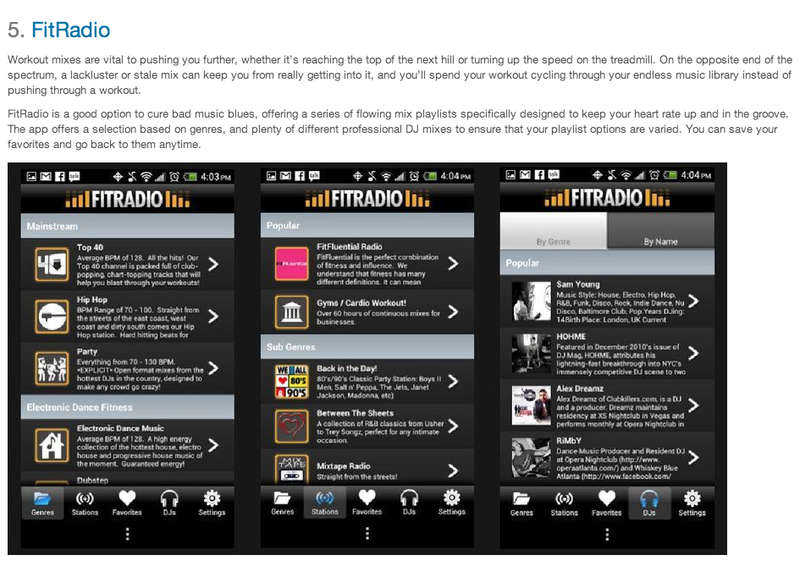 Fit Radio is the premier music provider for fitness goers anywhere and everywhere. It’s probably one of the best mobile apps EVER! LivingSocial's Buckhead Beer and Wine Festival! Hey everyone!! We had an absolute BLAST DJing this party last year and can’t wait to do it again! Check out the details below and grab a pass before the prices go up! As you can tell from the video, you don’t want to miss this! Entrance to LivingSocial’s Buckhead Beer and Wine Festival! Meet-and-Greet with Winemakers and Brewers from Noon to 1 p.m. If you missed LivingSocial’s Buckhead Beer and Wine Festival last fall, never fear: We’re back at it again this spring with the kick-off to our national Beerfest tour! With twice as much to indulge in from the beverage department, and even more unique entertainment, this is sure to be one of the season’s best events. Head to Chastain Park on March 23 to enjoy live music from ’80s tribute band Girlz Girlz Girlzand FIT Radio DJs. While the park is open to the public to enjoy the entertainment, those 21 and over who’d like to partake in the festivities should grab a ticket. Pay $25 for one general admission ticket (the price will increase as the event date gets closer), or pay $45 for a VIP ticket, and receive a tasting glass to enjoy unlimited samples of more than 100 beers and wines. Munchies from some of Atlanta’s best food trucks will also be available for purchase, so you can keep well-nourished as you partake in backyard lawn games and activities. Check out the interactive art experience from Georgia Foundation for Public Spaces and hang out in the brand new two-story Budweiser lounge, complete with six flat screen TVs for a basketball viewing party. Basically, this one festival you won’t want to miss… again. 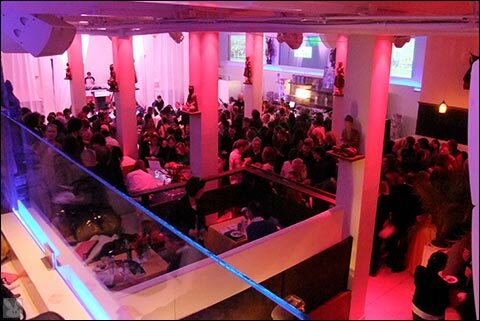 Check out Living Social’s Facebook page for updates on the event. Georgia Divas: Don’t miss the SHAPE Diva Dash – a women’s only adventure obstacle run coming to Atlanta on 2/23. It’s your chance to Ditch the Dudes for this women only obstacle run sponsored by SHAPE Magazine. It’s a challenging 5K run course dotted with a dozen or so obstacles designed to test your strength, speed, balance and agility. This run is for gals of all ages and abilities. It’s about camaraderie and support as much as it is about going fast. Costumes and bling encouraged. Plan to stick around for the after party for contests, games and prizes! Use code: FITRADIODIVA and save $15 off of your entry free!! !